With the new drone made official, and the opportunity to fly it in person presented to us, we took to the sky in the new DJI Mavic Air. The launch event was held in New York on January 23rd, we were on hand to check it out. Below are some of the thoughts and opinions from Adam Molina. He’s a part of our Android Authority family of websites, he is a pro at all things mobile audio over on SoundGuys. A huge thank you to Adam for attending on our behalf. Stay tuned, I’ll be grabbing the drone myself as soon as possible, then we can get down and dirty with the folding quadcopter. As with anything else, first impressions of a product influence everything we do moving forward. Good news on that front, we’re pretty impressed by the Mavic Air. There is something to be said about the ability to take a fully functional, high-quality drone and fold it down so it fits in your coat pocket. Well done. 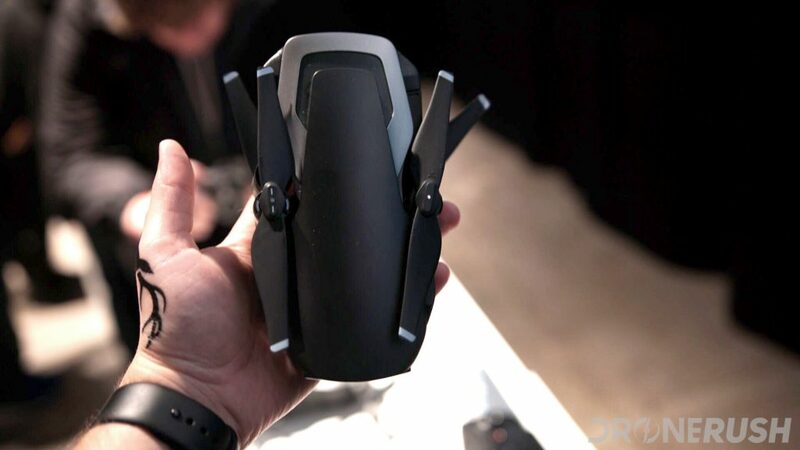 The DJI Mavic Pro before it could fit in larger pockets, but the Mavic Air takes that to a new level. Of course, it is smaller all the way around, so expect some reduced flight capabilities as well. The bump to 100Mbps bitrate in the camera is a welcome update. 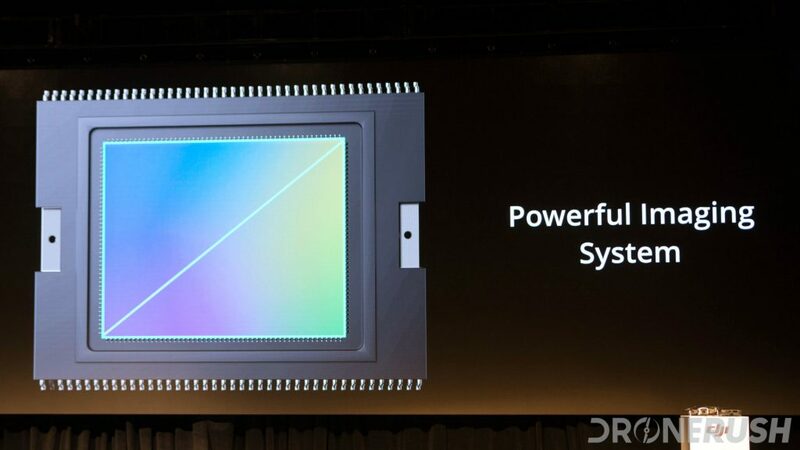 We wanted to see a bigger camera module, but the 1/2.3-inch sensor will have to do for now. Good thing the software is updated though, we’re seeing great footage so far. A top airspeed of 42.5 MPH outdoes the Mavic Pro, which is super cool. Although, your stabilized flight speed remains very similar, which is great of both machines. This means you’ll see stable video in winds up to 22 mph, and the drone will be able to survive flight in much faster winds. Weighing in at less than 500 grams makes for superb portability and lends to that top speed. The demonstration area at the DJI event had obvious limitations for flying the new Mavic Air. We got to test out the hand gesture flight and the new APAS – Advanced Pilot Assistance System – in a miniature forest. 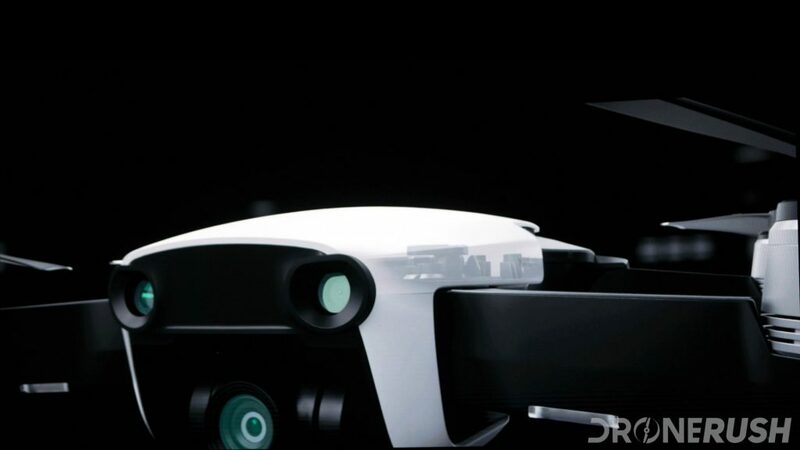 First of all, the drone weighs about twice as much as our phone, which feels like nothing for this size of drone. Flying by hand was super fun, and also a little scary. There is a level of trust needed when that drone takes to the sky. Having no controller in hand means you need to stay focused, don’t try to scratch your nose or anything, we’re not sure what that gesture will produce. However, by the end we were confident the drone would respond to us, landing the machine without incident. The obstacle course was another exercise in trust. We’ve seen drones fly straight on into objects before, it’s not pretty, but that’s exactly what we were instructed to do. We tried, of course, but the new APAS technology takes obstacle avoidance to a new level. Instead of just stopping before running into things, the Mavic Air can self-pilot around objects. We’ve seen this technique in drones twice the price, we’re very happy to see re-routing obstacle avoidance in such a consumer friendly platform. DJI Spark vs Mavic Pro – half the price, half the value? 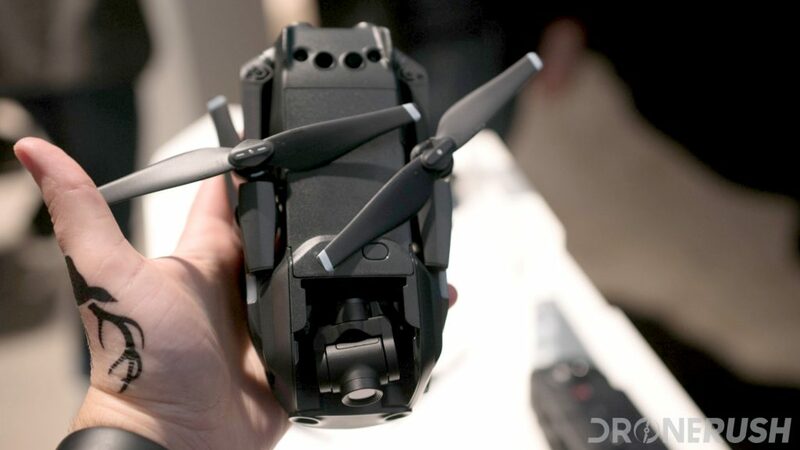 After experiencing the Mavic Pro, there is little doubt that the new Mavic Air is smaller, easier to use and debatably easier to fly. We can’t wait to put the camera to task, it promises to be the best 1/2.3-inch camera DJI has produced, we’re eager to see it in action. Folding up the new Mavic Air and sliding it into a pocket makes us happy. The idea of taking a capable drone with us almost anywhere we go is exciting – we imagine it can change how many people view and use drones in their daily life. 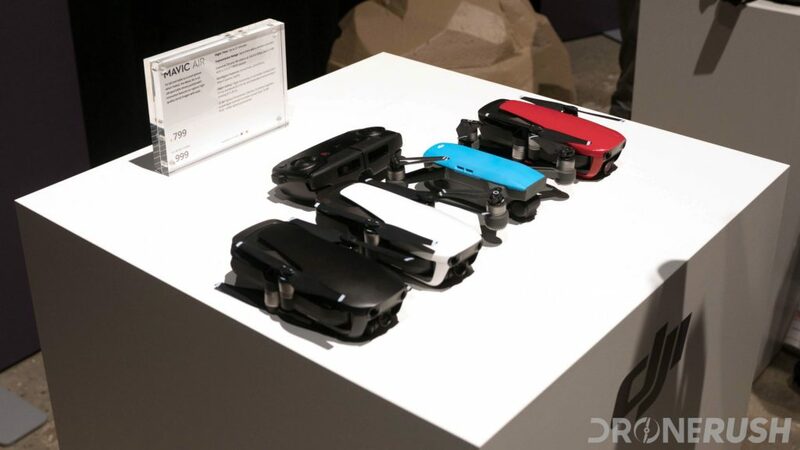 Stay tuned for even more coverage of the DJI Mavic Air. We got a taste for it, now it’s time to get a review unit it for thorough testing and full review. 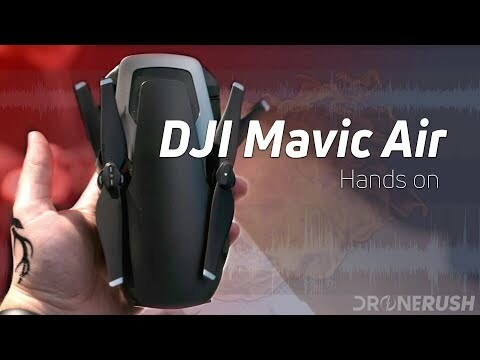 What are your first thoughts on the new DJI Mavic Air?